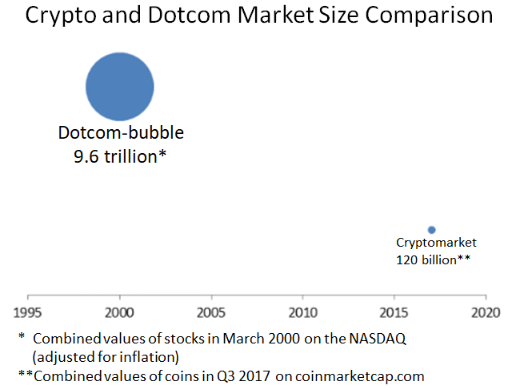 Crypto-currency trading is not in a bubble. I've heard this claim made time and again by self-proclaimed pundits that seem to panic every time Bitcoin breaks a new price barrier and climbs yet higher than they thought possible. "I think it's in a bubble. I just don't know when or how much it corrects." 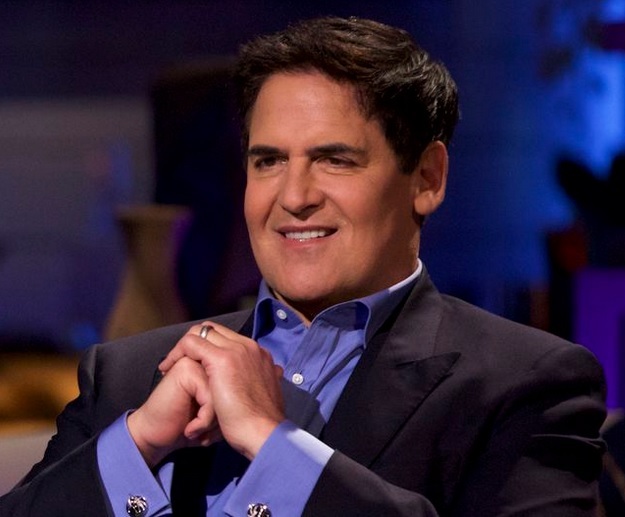 There's just one problem with Mark Cuban's bold statement: He's wrong! To look at the true phenomenon of bubbles, you should look at established industries where it's easy for new investment to pour in. The traditional stock market. Nasdaq. The housing market. All of these are where to look for examples, because as enthusiasm builds ahead of demand, investment can quickly escalate with no significant barriers to entry. This isn't the case in crypto-currency. At this point, you have to purchase Bitcoin (usually). Even if you're not interested in Bitcoin, that's usually the next step, because often the exchange where you send your money doesn't support direct purchases of the coins you want. And so you end up sending Bitcoins to yet another exchange, sometimes paying transfer fees in the process. I'll stop belaboring my point here - you're smart; you get the picture! It's not easy getting capital - especially large amounts - into the system. And that's not the case with housing or the stock market. In fact, if anything, it's too easy to send your savings into those two markets! Okay, We're Not in a Bubble Yet. Now What? Enthusiasm is building. Each day Bitcoin makes headlines as it rockets upwards in price per unit, breaking each prior price level. This has triggered a great deal of investor interest across the world from ordinary people - people known in the industry as "retail investors." Why the Sudden Interest in Crypto by Retail Investors? And it worked for a while. Despite dire predictions of economic collapse, the stock market seems to be showing resilience even as it exceeds its all-time highs. But now some investors are getting skittish. It's now challenging to find undervalued stocks, and heads are starting to turn towards new opportunities. And the shiniest of them all is crypto. Boasting returns measured in the thousands of percents, investors are seeing crypto-currency featured on CNBC, Fortune magazine, the Economist, and other mainstream investment news sources. 5 It's gotten to a point where you can't browse Google news without running into one or more articles talking about the latest "initial coin offering" or other investment opportunity. Have you heard about the sociological concept of "innovation adoption" whereby a new technique or technology is introduced to a population? The entire industry is somewhere past the point of early adopters. Most of the people inside the crypto-currency industry agree with my assessment, although some feel that Bitcoin's maturity life cycle is further along than most of the other innovations that have taken place within the space. Essentially, this means that Bitcoin, even though it has some more to grow, is starting to achieve its maximum utility and usage; I also believe that its speculative price will be driven higher in the next year or so, fueled by retail investors buying it solely based on name recognition. XRP, on the other hand, has yet to reach that stage, and this implication is very telling due to its incredible utility and use cases. Long story short: XRP has incredible untapped upside potential - not just in the banking industry, but in the market for its digital asset as well! Which Coin Will Mainstream Investors Choose? In the West, investing isn't just about making money; it's about prestige, public image, and the exclusivity of the technology of the company whose stock you're purchasing. 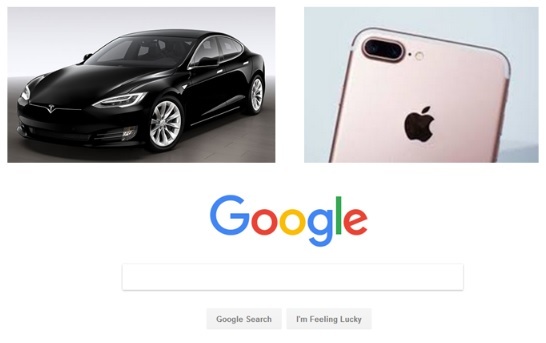 Case in point is Tesla, Apple, or Google. And the same is true in crypto-currency investing. Worldwide, all of the top five crypto-currencies has a non-profit foundation. Except one. XRP was created by a US company - Ripple. And that company is one of the most lauded, prestigious companies to work at in Silicon valley. 8 It was founded by leading innovators in their field - names that convey star power to those that follow crypto-currency. Ripple has decided to purposefully steer clear of the consumer space for the moment and focus on its core mission - building the first worldwide, cross-border payment network that uses the latest blockchain technology. Instead, other companies build end-user payment applications, wallets, and distributed exchanges "on Ripple." The "powered by Ripple" moniker 10 is quickly becoming a standard of true innovation in banking, and adoption is happening quickly, with 90 banks and financial institutions already on board and counting. How do I know retail investors will choose XRP? Nod if you see where I'm going. It's not just direct retail investors who will be asking these types of probing questions. Fund managers and investment bankers will not be satisfied by doing technical analysis at an exchange and just blindly moving their money. No; they will want to get to "know the company" behind each of these products, and they will find some unpleasant surprises behind a lot of the choices in the current "top ten." As a result, we will, in the next year, see some dramatic shifts taking place in crypto, and I predict one of the most dramatic will be the unparalleled rise of one of the largest fintech companies that the world will ever see; Ripple. It will be based on the value and reputation that their company brings to the table, along with the innovative utility of their digital asset, XRP.